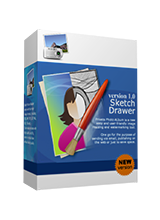 Video Watermark Maker 1.4 was available as a giveaway on March 6, 2018! Just by thinking of having to undergo the daunting and time-consuming process of video production could definitely be overwhelming. And with such hardwork, seeing your video get stolen or tampered would be the last thing you want to witness, right? In such scenario, watermarking is the best solution to resort to. In simple terms, Video Watermark Maker is a tool that basically attaches watermark, which then completes the process of the copyright protection as well as authenticity. With such tool, you can protect your file from being illegally copied by whoever, thereby keeping your product intact and secured. Effortlessly enhance company branding and exposure through the use of embedded watermarks in company video With the use of such software, incorporating watermarks in your company-produced videos can be simply done. You just have to prepare for the exact file, which can be your company logo/brand, a statement or whatever you wish, you want to use as your watermark. And since customization is highly possible with such software, deciding for the complete look of your watermark could be done without a fuss. Doing this process protects any video from being copied and/or stolen by unauthorized personnel. How would you improve Video Watermark Maker 1.4? Purchase a license PRO at 70% discount. 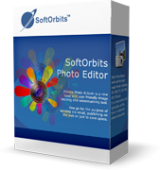 SoftOrbits Photo Editor will tidy up your pictures by helping you select and remove unwanted objects, ixing blur, camera shake and noise, replace the background, enhance photos automatically or under your supervision, sharpen up the details, leveling horizon and framing the picture just right. Lately we’ve been receiving comments on Giveawayoftheday, stating that we tend to deactivate our old programs on purpose and try to force our users to buy a license, that being a part of our marketing strategy and so on. We’ve also read a lot that the developer doesn’t care about the users’ complaints. We wanted to say that our company has never tried to deactivate the programs on purpose in order to make people buy licenses. We’ve had problems with activation before, but this was because of an internal security error and we fixed the problem about a year ago. The inability to activate the programs was never a part of our marketing strategy. Besides, maybe you’ve noticed, our programs can be activated for several more days after the official activation period on Giveawayoftheday ends. We also want to assure you that we read all comments and try to fix all problems with our programs as soon as possible. That’s why we want to thank you for your valuable feedback. There are also some technical features that we’d like to explain. Each developer makes program activation different. Our programs write the activation key to the system registry. So, if you’re using any third-party software that cleans your registry, the program might not find your key and stay unregistered. Plus, the key can be deleted because of many other reasons, such as an operating system glitch, for example. We have no control over those circumstances so the program may stay unregistered. One more common problem is that the program may not be able to connect to the activation server. If this is our fault, we’ll fix this immediately. You need Internet connection to activate the program and sometimes your antivirus or firewall may block the program’s access to the Internet. So if you’re having such problem, it’s 99% true that the problem is on your computer. Also you may check that your system date is valid because that may also prevent activation. Please note, that if you reinstall the program or install a major or a minor update, the program won’t be registered. According to Giveawayoftheday rules, the registration is valid for the current program version only. Hopefully our explanation has clarified the situation for you and now you know more about our programs and how they work. We hope you’ll continue using our products for getting your tasks done. SoftOrbits, the main problem wasn't to activate products using the server, the problem was that every new promotion killed the earlier and nobody could keep more than 1 SoftOrbits product genuinely activated when installing and activating a new one. It took you years to actually figure out and change how the activation can be stored simultaneously for multiple products on the same PC being offered in promotions here or elsewhere. Probably it simply converted into that assumption that nobody from your company cares because nothing changed for such a long time and people became tired and upset, which is completely understandable, imo. Hi, wow, that's grand SoftOrbits! :) So glad You came up with this long awaited explanation and assurances there is no 'foul play' on Your part when it comes to undoing life Licenses of Your Giveaways here and 'turning Softwares back to Trials' after a while. Jolly well, but if a long list of other Vendors on GOTD (with exception of very few) didn't have the same problem - hard to point out and blame users for 'problems being on their computers', as You describe above?? Just for a sake of simple observation.., but if You fixed 'your ways' (whatever they might be) once and for all - that spells GOOD NEWS!! :) Greetings. SoftOrbits, Hi, wow, that's grand SoftOrbits! :) So glad You came up with this long awaited explanation and assurances there is no 'foul play' on Your part when it comes to undoing life Licenses of Your Giveaways here and 'turning Softwares back to Trials' after a while. Jolly well, but if a long list of other Vendors on GOTD (with exception of very few) didn't have the same problem - hard to point out and blame users for 'problems being on their computers', as You describe above?? Just for a sake of simple observation.., but if You fixed 'your ways' (whatever they might be) once and for all - that spells GOOD NEWS!! :) Greetings. SoftOrbits, Re "Each developer makes program activation different. Our programs write the activation key to the system registry. So, if you’re using any third-party software that cleans your registry, the program might not find your key and stay unregistered. Plus, the key can be deleted because of many other reasons, such as an operating system glitch, for example. We have no control over those circumstances so the program may stay unregistered." I have been a visitor of this site for at least 12 years (even before the Dutch version was launched) and as a hobby check every giveaway on details were the activation is stored. Rest assured, your activation method is far from unique. But only with your product people lost the activation in the past. So there must be something other than glitches in the OS or updates by users that causes the loss of activation of SoftOrbits software. I have an idea what caused the problem, but will not write about that in public. SoftOrbits, Re "Each developer makes program activation different. Our programs write the activation key to the system registry. So, if you’re using any third-party software that cleans your registry, the program might not find your key and stay unregistered. Plus, the key can be deleted because of many other reasons, such as an operating system glitch, for example. We have no control over those circumstances so the program may stay unregistered." I have been a visitor of this site for at least 12 years (even before the Dutch version was launched) and as a hobby check every giveaway on details were the activation is stored. Rest assured, your activation method is far from unique. But only with your product people lost the activation in the past. So there must be something other than glitches in the OS or updates by users that causes the loss of activation of SoftOrbits software. I have an idea what caused the problem, but will not write about that in public. Totally agree with the commenter fran's observations and (rhetorical) question posed to this vendor. Their long-winded justification rings a bit hollow, and reminds me a little of the way an ill-prepared student will fill an exam essay with verbiage in the hope of obfuscating her-his lack of knowledge. When I mark my students' exams, it is always easy to spot those who are "winging it". As fran points out, most, if not all, other vendors who offer multiple products or versions here on the whole seem to manage to cope with the licensing and registration difficulties this vendor imputes to vagaries of the o.s., the registry, personal set-up or other random client-side fluctuations. Totally agree with the commenter fran's observations and (rhetorical) question posed to this vendor. Their long-winded justification rings a bit hollow, and reminds me a little of the way an ill-prepared student will fill an exam essay with verbiage in the hope of obfuscating her-his lack of knowledge. When I mark my students' exams, it is always easy to spot those who are "winging it". As fran points out, most, if not all, other vendors who offer multiple products or versions here on the whole seem to manage to cope with the licensing and registration difficulties this vendor imputes to vagaries of the o.s., the registry, personal set-up or other random client-side fluctuations. SoftOrbits, You never explained why you are entering hundreds of entries in the windows registries, when only one is actually needed and why only your registries keys get removed but not the others? I always install software with trace and after installation of your software I can see entries in all registries hives, is there a reason for it? SoftOrbits, You never explained why you are entering hundreds of entries in the windows registries, when only one is actually needed and why only your registries keys get removed but not the others? I always install software with trace and after installation of your software I can see entries in all registries hives, is there a reason for it? The speculation that SoftOrbits was deactivating programs on purpose to force users to buy a license, of course cannot be proven. I am sure those claims are based on speculation when time after time, the programs became de-activated/inactivated. The same for speculating that it was SoftOrbits Marketing Strategy, and the same for implying that SoftOrbits does not care about users complaints. You also stated that there was a problem with the activation process and that it was fixed about a year ago. Heck, I'll even go to bat for you in your defense. When the SoftOrbits programs first started becoming inactivated, users did not take long to catch on, and comment in the forums. As the forum comments became more common, I recall SoftOrbits posting a comment that the problem had been identified, and that it was fixed. In other words, you did care, or were you pretending? By the way, you also offered to help some users by getting their program re-activated. I notice that you did not do that today. In all fairness, today, you should have done the same. You have a database of every software license ever issued. Allow any user to visit a page on your website, and allow them to enter the product, license key, and e-mail the license was delivered to, and then send them an active license. You owe it to them to honestly show your good will. That first posting response I have a record of, and it was more than a year ago, so the "fix" you mention today must be a different problem. After the first response, I too was grateful, and seriously thought it was the end of the problem. Unfortunately, that first admission did not turn out to be the end of it. Not long after that, SoftOrbits program were still being inactivated at some point after they were installed but way short of what they were originally licensed for. Now, granted most of these were free giveaway licenses, but there were also users that had purchased your software, and even had those licenses inactivated. Of course, users continued to comment, but there were no more posts from SoftOrbits, and so the problem grew to the point that users began speculating on all types of explanations. That is the risk you run by not quickly fixing a problem like this, and then insuring it does not continue. How many comments did it take before SoftOrbits decided to address it again? You explain today that third-party registry cleaners might cause the license key to be removed, and thus SoftOrbits programs may not find the key. If that were the case, I feel like some users would have caught that right off, and therefore, I do not believe registry cleaners are to blame here at all. Registry Cleaners do not arbitrarily pick things to remove. They generally look for references to disk locations/registry locations that do not match what the registry data shows, and will offer to remove these. There is no reason for a registry cleaner to remove license keys. In over 40+ years, I am not aware of any registry cleaner that has done this. I would be very interested if you can point to any registry cleaner on the market that does what you suggest. You further mention that registry keys can be deleted for "many other reasons," and your only example is a "system glitch." Hmmm. A system glitch huh? And this system glitch happens how? And it only happens to remove SoftOrbits license keys? Do you honestly think anyone is going to believe your claim? The license keys are not being removed by a system glitch! If such a thing were possible, why they always happen to SoftOrbits products only? All programs would be affected, and there would be such an uproar that whatever was causing the system glitch to be resolved. Memory/RAM and motherboards are generally "matched" components so that so called glitches do not happen. You aren't getting any brownie points for suggesting such crap. I would like to know what some of those "many other reasons" are. Whatever they are, I wonder why they do not affect other company's products either. You would have been a lot better off not trying to explain that it isn't your fault. 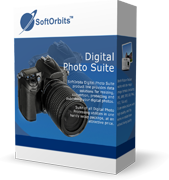 Many users starting noticing that the when they installed a SoftOrbits program, that other SoftOrbit programs were inactivated. That was too much of a coincidence. In all these many years that Giveawayoftheday.com has been offering software programs from a wide variety of software developers, why are we getting a response from just one software developer? It is because SoftOrbits is the one that is most often caught having this problem. It is interesting that your post started out about deactivating licenses, but quickly turned to explaining reasons why a program may not be able to get activated in the first place. Right off, you point out the issue of the "Internet connection" being needed. You do mention anti-virus and firewall can block the program's connection to the Internet, and that part is almost always the problem, but the explanation given by software programs does very little to help users figure out what the problem is. If the program gives a message at all, it generally is in the form of letting the user know that they should check their "Internet connection." Their immediate response is, 'of course my Internet connection is working; I downloaded your program didn't I, and I can access any other website on the web." They're absolutely right, because they are responding to one of the poorest error messages to users ever conceived. Understandably, they are basing their response on their browser's ability to access websites, download programs, etc. Generally, they do not realize that, yes, their browser can access the Internet; it is because their Firewall by default allows web browsers to access the Internet, but that same firewall may block other programs, especially due to how they attempt to access the Internet. If it looks like a program is attempting to contact a remote server without the user knowing about it, very likely it will get blocked. Those programs often have to be added to a trust list before they can contact the activation server. A lot of users, new users especially, are not going to understand what the issue is, and it is largely due to the poor message from the software program. Don't' tell users to check their Internet connection; they will check it with their browser. You need to explain to users that even though their browser can access the Internet, that your program is attempting to contact a remote server behind their back in a way that their Firewall is blocking. They them exactly what to do to resolve the issue, or better yet, come up with a system that does the activation off-line. Many other software programs users get here on Giveawayoftheday.com activate without these issues, so to claim that you cannot do the same sheds some light on your inabilities, and therefore, raises the question why should you remain in the marketplace. Regardless of what you do in the future, you have to understand that there is a point where no matter what you do, the trust is gone. You could make the best products on the market, and for a user to download and try the program out, that isn't that much of a risk, but for those that are using what they have learned about the software, and in turn using that information to refer to others, especially businesses that make multiple purchases, ... who is going to refer a software developer that has continued to have the same problem for years, even after claiming it was fixed? Only time will tell if this time the problem is fixed. In the meantime, sorry, but I am not going to take the risk to referring any of your software programs to any others. You are right about one thing" "Each developer makes program activation different." That is very true, and most of the others have a system that works! SoftOrbits, The speculation that SoftOrbits was deactivating programs on purpose to force users to buy a license, of course cannot be proven. I am sure those claims are based on speculation when time after time, the programs became de-activated/inactivated. The same for speculating that it was SoftOrbits Marketing Strategy, and the same for implying that SoftOrbits does not care about users complaints. You also stated that there was a problem with the activation process and that it was fixed about a year ago. Heck, I'll even go to bat for you in your defense. When the SoftOrbits programs first started becoming inactivated, users did not take long to catch on, and comment in the forums. As the forum comments became more common, I recall SoftOrbits posting a comment that the problem had been identified, and that it was fixed. In other words, you did care, or were you pretending? By the way, you also offered to help some users by getting their program re-activated. I notice that you did not do that today. In all fairness, today, you should have done the same. You have a database of every software license ever issued. Allow any user to visit a page on your website, and allow them to enter the product, license key, and e-mail the license was delivered to, and then send them an active license. You owe it to them to honestly show your good will. That first posting response I have a record of, and it was more than a year ago, so the "fix" you mention today must be a different problem. After the first response, I too was grateful, and seriously thought it was the end of the problem. Unfortunately, that first admission did not turn out to be the end of it. Not long after that, SoftOrbits program were still being inactivated at some point after they were installed but way short of what they were originally licensed for. Now, granted most of these were free giveaway licenses, but there were also users that had purchased your software, and even had those licenses inactivated. Of course, users continued to comment, but there were no more posts from SoftOrbits, and so the problem grew to the point that users began speculating on all types of explanations. That is the risk you run by not quickly fixing a problem like this, and then insuring it does not continue. How many comments did it take before SoftOrbits decided to address it again? You explain today that third-party registry cleaners might cause the license key to be removed, and thus SoftOrbits programs may not find the key. If that were the case, I feel like some users would have caught that right off, and therefore, I do not believe registry cleaners are to blame here at all. Registry Cleaners do not arbitrarily pick things to remove. They generally look for references to disk locations/registry locations that do not match what the registry data shows, and will offer to remove these. There is no reason for a registry cleaner to remove license keys. In over 40+ years, I am not aware of any registry cleaner that has done this. I would be very interested if you can point to any registry cleaner on the market that does what you suggest. You further mention that registry keys can be deleted for "many other reasons," and your only example is a "system glitch." Hmmm. A system glitch huh? And this system glitch happens how? And it only happens to remove SoftOrbits license keys? Do you honestly think anyone is going to believe your claim? The license keys are not being removed by a system glitch! If such a thing were possible, why they always happen to SoftOrbits products only? All programs would be affected, and there would be such an uproar that whatever was causing the system glitch to be resolved. Memory/RAM and motherboards are generally "matched" components so that so called glitches do not happen. You aren't getting any brownie points for suggesting such crap. I would like to know what some of those "many other reasons" are. Whatever they are, I wonder why they do not affect other company's products either. You would have been a lot better off not trying to explain that it isn't your fault. Many users starting noticing that the when they installed a SoftOrbits program, that other SoftOrbit programs were inactivated. That was too much of a coincidence. In all these many years that Giveawayoftheday.com has been offering software programs from a wide variety of software developers, why are we getting a response from just one software developer? It is because SoftOrbits is the one that is most often caught having this problem. It is interesting that your post started out about deactivating licenses, but quickly turned to explaining reasons why a program may not be able to get activated in the first place. Right off, you point out the issue of the "Internet connection" being needed. You do mention anti-virus and firewall can block the program's connection to the Internet, and that part is almost always the problem, but the explanation given by software programs does very little to help users figure out what the problem is. If the program gives a message at all, it generally is in the form of letting the user know that they should check their "Internet connection." Their immediate response is, 'of course my Internet connection is working; I downloaded your program didn't I, and I can access any other website on the web." They're absolutely right, because they are responding to one of the poorest error messages to users ever conceived. Understandably, they are basing their response on their browser's ability to access websites, download programs, etc. Generally, they do not realize that, yes, their browser can access the Internet; it is because their Firewall by default allows web browsers to access the Internet, but that same firewall may block other programs, especially due to how they attempt to access the Internet. If it looks like a program is attempting to contact a remote server without the user knowing about it, very likely it will get blocked. Those programs often have to be added to a trust list before they can contact the activation server. A lot of users, new users especially, are not going to understand what the issue is, and it is largely due to the poor message from the software program. Don't' tell users to check their Internet connection; they will check it with their browser. You need to explain to users that even though their browser can access the Internet, that your program is attempting to contact a remote server behind their back in a way that their Firewall is blocking. They them exactly what to do to resolve the issue, or better yet, come up with a system that does the activation off-line. Many other software programs users get here on Giveawayoftheday.com activate without these issues, so to claim that you cannot do the same sheds some light on your inabilities, and therefore, raises the question why should you remain in the marketplace. Regardless of what you do in the future, you have to understand that there is a point where no matter what you do, the trust is gone. You could make the best products on the market, and for a user to download and try the program out, that isn't that much of a risk, but for those that are using what they have learned about the software, and in turn using that information to refer to others, especially businesses that make multiple purchases, ... who is going to refer a software developer that has continued to have the same problem for years, even after claiming it was fixed? Only time will tell if this time the problem is fixed. In the meantime, sorry, but I am not going to take the risk to referring any of your software programs to any others. You are right about one thing" "Each developer makes program activation different." That is very true, and most of the others have a system that works! krypteller, je mag gerust deze uitleg op de Nederlandstalige site zetten. dat is tenminste verhelderend. I might be inclined to accept some of your explanations, but your blaiming the users, even in the smallest part, for deregstration of your software is simply insulting. Other developers who are offering here their software do not resort to this kind of tactics and excuses. That's why their software stays registered no matter what registry cleaners I use or whatever I do with my computer. Also, it's rather amusing to suggest that computer glitches may be causing this massive deactivation of your programs. How come then that those computer glitches only affect your programs and they leave programs offered by other developers untouched? SoftOrbits, I might be inclined to accept some of your explanations, but your blaiming the users, even in the smallest part, for deregstration of your software is simply insulting. Other developers who are offering here their software do not resort to this kind of tactics and excuses. That's why their software stays registered no matter what registry cleaners I use or whatever I do with my computer. Also, it's rather amusing to suggest that computer glitches may be causing this massive deactivation of your programs. How come then that those computer glitches only affect your programs and they leave programs offered by other developers untouched? Rediculous. I just wonder how long the registration will last from SoftOrbits, all previous installs became unregistered in a range from 1-6 months and watch for the registries hives, they are used as a scratch pad for all of your activities when SoftOrbits runs. Sorry, I missed the first part — it is the same company! This company also sells software to remove watermarks. If the removal software works then what is the point of this? There are also lots of free video watermarking packages, and the price of this offering is impressively high for what it does. This company also sells software to remove watermarks. https://www.softorbits.com/remove-watermark-from-video/ Great business idea, sell you something to add a water mark and sell everyone else something to remove it... If the removal software works then what is the point of this? There are also lots of free video watermarking packages, and the price of this offering is impressively high for what it does. Seeing the Giveaway and reading about it, before I reached the comments, I was about to write a comment, that a watermark marker protects the files and a watermark remover can then un-protect them. Then I saw your comment, you had anticipated me. However, in fairness, it is not necessarily the same company that sells both. Your comment is extremely useful. bob, Seeing the Giveaway and reading about it, before I reached the comments, I was about to write a comment, that a watermark marker protects the files and a watermark remover can then un-protect them. Then I saw your comment, you had anticipated me. However, in fairness, it is not necessarily the same company that sells both. Your comment is extremely useful. bob, and there are high chances that the watermark remover will work very efficiently as atleast company knows the software part of their watermark maker. Better use a hardburned subtitle in the movie, but editing and conversion comes in this process. feels like a virus maker that sells anti-virus products... and a virus or two too for the customer with malicious intent. bob, yup we've it as giveaways too over the years: https://www.giveawayoftheday.com/remove-logo-now-from-video/ https://www.giveawayoftheday.com/remove-logo-now-1-5-from-video/ feels like a virus maker that sells anti-virus products... and a virus or two too for the customer with malicious intent.